Is your business moving premisses or just moving out? AAA Mr Rubbish Removal can help you clear out and clean up. At Cronulla in "The Shire" today clearing out a warehouse for a recently retired gentleman. It's always a pleasure to travel down to "The Shire", no wonder it's affectionally by locals as "god's country". The friendly team from AAA Mr. Rubbish Removal We provide homes and businesses with reliable same-day service. We’re happy to haul away any amount of clutter, no matter how much or how little. Whatever it is you need taken off your hands. 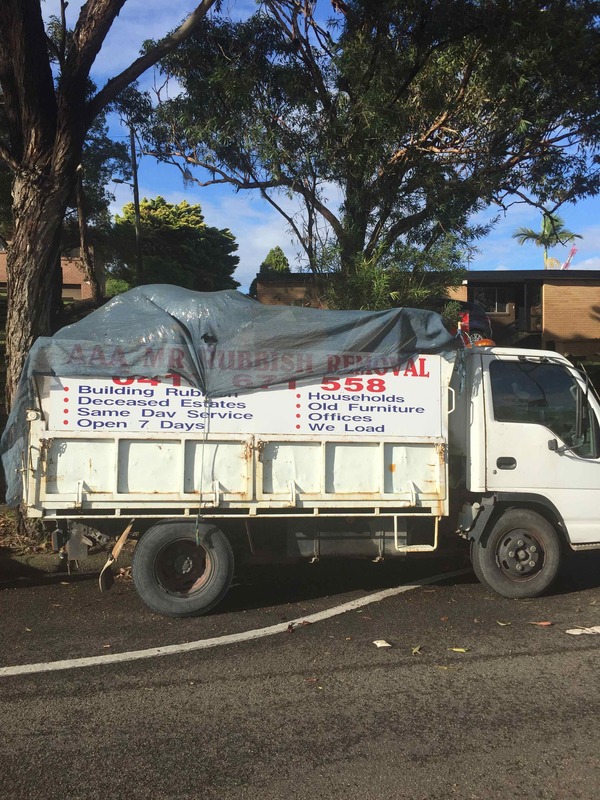 We’ll bring you the most courteous, efficient rubbish removal Cronulla has to offer. AAA Mr. Rubbish Removal provides fast and easy rubbish removal to Cronulla residents, from initial booking to final disposal. Some facts Cronulla is located 26 kilometres south of the Sydney CBD, in the local government area of the Sutherland Shire. Cronulla is located on a peninsula framed by Botany Bay to the north, Bate Bay to the east, Port Hacking to the south, and Gunnamatta Bay to the west. The neighbouring suburb of Woolooware lies to the west of Cronulla, and Burraneer lies to the southwest. The Kurnell peninsula, the site of the first landfall on the eastern coastline made by Lt. (later Captain) James Cook in 1770, is reached by driving northeast out of Cronulla on Captain Cook Drive. Cronulla is derived from kurranulla, meaning ‘‘place of the pink seashells’’ in the dialect of the area's Indigenous inhabitants, the Gweagal, who were a clan of the Tharawal (or Dharawal) tribe of Indigenous Australians. They were the traditional custodians of the southern geographic areas of Sydney. The beaches were named by Surveyor Robert Dixon who surveyed here in 1827-28 and, by 1840, the main beach was still known as Karranulla. In July 1852 the schooner Venus was wrecked on the beach, which was referred to in newspaper reports as Cooranulla.